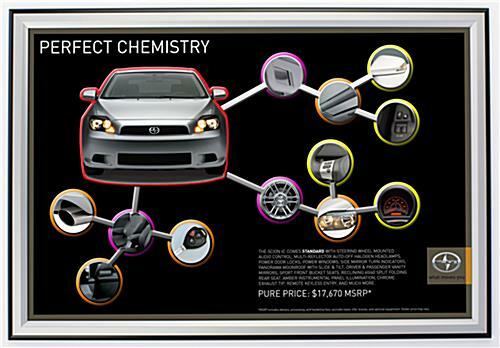 This 24 x 36 Front Load Picture Frame is Black & Silver, With a Hinged Profile. 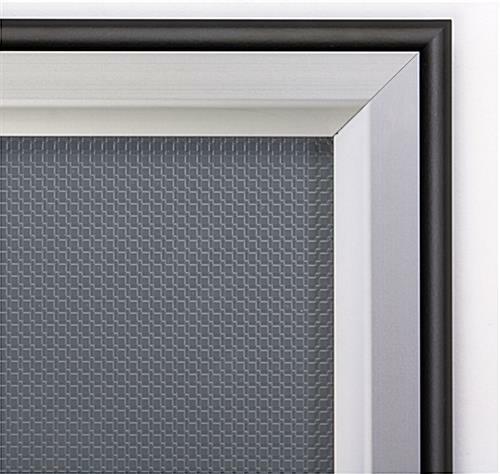 The Snap-Open Framing Makes it Easy to Refresh Artwork! This 24 x 36 Front Load Picture Frame is Available for Quick Shipping. 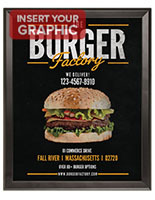 This 24 x 36 front load frame stylishly accents a 24x36 advertising sign. 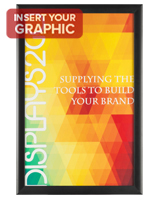 The poster holder design simplifies the process of refreshing a presentation. This snap open 24 x 36 front load frame, also called picture display framing, features four hinges along the edging of the profile. Each side flips out individually, so a user can insert new artwork with ease. The two-toned 24 x 36 front load frame therefore remains in place during graphic changes and updates. There is no need to detach the framing from the wall or to remove the backing! 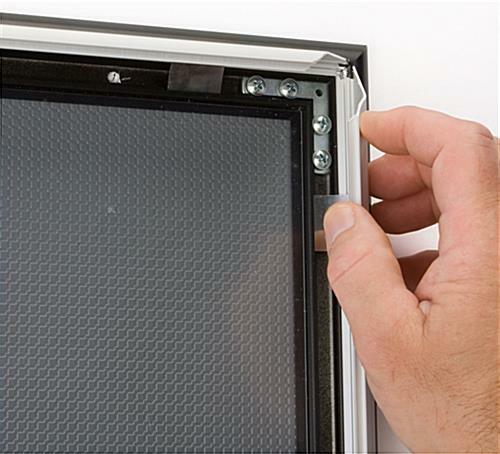 This 24 x 36 front load frame that snaps open has two sets of mounting holes, which are hidden underneath the edging. 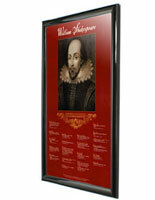 This gives users the option of displaying either a portrait or a landscape poster. The 24 x 36 front load frame that mounts to a wall keeps screws hidden underneath the profile, thus creating a neater, more professional display. 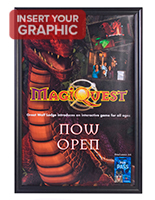 This poster display is constructed from aluminum and has two tones of coloring, black and silver, for added style. 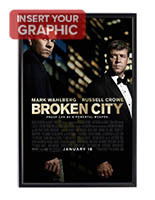 The 24 x 36 front load frame that accommodates vertical or horizontal prints draws attention to a displayed advertisement without overwhelming the message with distracting details or decorations. 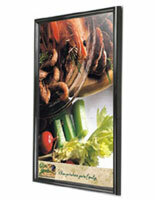 The 24x36 picture holder is ideal for use within commercial environments, such as a retail store, restaurant or hotel. Businesses requiring frequent artwork updates would greatly appreciate the simple setup of this framing. 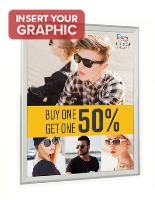 Front-loading poster snap frames make changing signage an effortless chore!